Pruning tomato plants is somewhat of a hot topic amongst tomato growers. Some swear that you MUST prune, and others are adamantly against pruning. As with most things in life, there really isn't one best way to deal with the issue. It depends on the conditions in your garden, and what your goals are. Your plants will get more air flow, and, therefore, be healthier. You'll save space in the garden if you prune. Of these four reasons, the first two are not necessarily true (more on that later) so we can ignore them for the moment. The last two bear some thought. 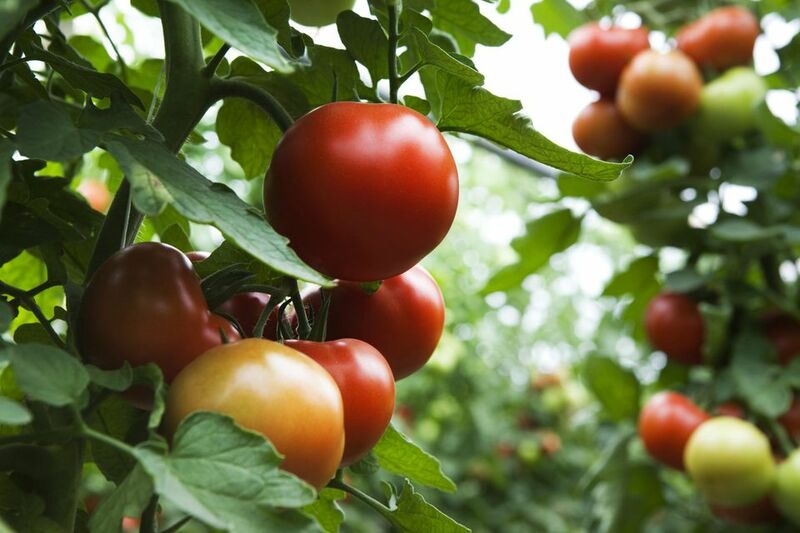 If you have issues with fungal diseases in your garden, air flow definitely should be considered, and you may want to prune your tomato plants. However, if your plants are not regularly bothered by leaf spot or other fungal issues, you probably don't need to worry about pruning. Another way to be sure you're keeping your plants safe from fungal diseases is to avoid wetting the foliate when watering and to try to water early in the day so any moisture on the plant can dry up before nightfall. Also, try to avoid working near your plants when they're wet, as this can spread fungal diseases, and clean your pruners regularly. Really, it's that final reason, space saving, that is the main reason you may want to prune your tomato plants. Tomatoes, especially indeterminate varieties, can become giant, sprawling plants by the end of the season. If your gardening space is limited, or, like many gardeners, you're trying to fit more plants into a small space, you'll want to prune your tomato plants regularly and keep them staked or caged. This will prevent your plants from getting too large and bushy. However, indeterminate plants will still keep growing taller, and you'll keep getting fruit as long as the plant is growing. "I'm firmly against pruning. Plants need to photosynthesize to produce energy for root, leaf, and fruit growth. Therefore, by allowing all of the plant's foliage to thrive, the plant is better able to photosynthesize." And that's the crux of it: allow the plant to work the way it's supposed to! Male also goes on to mention, as I listed above, that people claim that pruning results in more or bigger fruits. The "more" issue just makes no sense at all; how can having fewer branches (as you do when you prune) result in more fruit? As for pruned plants producing larger fruit, that's also fairly inaccurate. As Male mentions, the way you get larger fruit is to remove all but one or two of the small fruits per stem. The remaining fruits, because all of the plant's energy is going to them, will grow larger than they would have if you'd left all of the fruits. I hope this clears up some of the confusion around tomato pruning. If you want to save space or grow a "neat" garden, then go ahead and prune. But if you find, like me, that pruning is just not something you want to bother with, you have no reason to feel guilty for omitting it from your chore list.